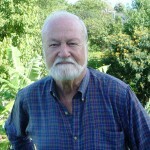 Marc Dourojeanni is an agronomic engineer and forestry engineer who is now Professor Emeritus of the Agricultural University La Molina, Lima. He is a specialist in the areas of the Peruvian and Brazilian Amazonia, as well as other tropical forests of three continents. Among his many positions are: Vice-Rector of the University San Martín de Porres, founding president of ProNaturaleza, Vice-President of the International Union for Conservation of Nature (IUCN), Vice-President of the World Comission on Protected Areas (WCPA), and the first Head of the environment division of the Inter-American Development Bank.